Magnificent eye-catching flower. 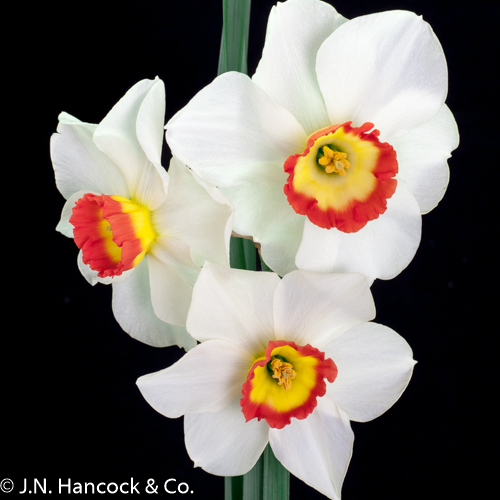 Smooth ice-white petals; cup of bright yellow edged with a broad blood-red band. Mid.